The Australian-made Buddies is essentially a Down Under gold rush western. Two friends in Queensland team up with a miner and his girl friend to search for diamonds. Their quest is threatened by a gang of slavering claim-jumpers. Colin Friels, Harold Hopkins, Dennis Miller and Kris McQuade (the girl) are the protagonists in this attractive location-filmed effort. 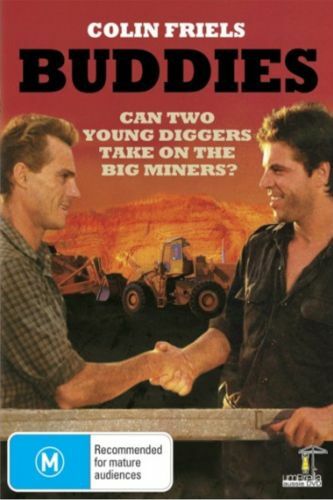 The Australian film Buddies is sometimes confused with an unrelated U.S. produced AIDS-related drama of the same title.